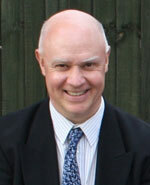 Rev Dave Bookless works for the environmental charity A Rocha International as their Advisor for Theology and Churches. Almost thirty years after his first degree in Modern History, he has now returned to Jesus College at the University of Cambridge to embark upon a part-time PhD in Theology. Dave has also worked as a teacher and a vicar, was National Director of A Rocha UK for several years and is a widely published expert on theology and the environment. Dave is studying under Professor David Ford in the Divinity Faculty at the University of Cambridge, exploring a theological understanding of biodiversity conservation. A Rocha International is sponsoring Dave to study for his PhD two days a week whilst he works for them for the other three days. Dave’s tuition and college fees of around £3500 per year are paid by The Faraday Institute for Science and Religion. In return he does some lecturing for them, about once or twice a term. It will take Dave five years to complete his studies on a part-time basis. “My PhD focuses on how and why we should conserve wild nature from a philosophical and theological perspective. Or, put more simply, “Why does nature have intrinsic value?” I am part of a group of around 15 students all studying different aspects of applied theology under Professor David Ford, a highly-respected academic in his field. I made contact with Professor Ford after hearing him speak at a conference a couple of years ago, and discussed the possibly of a PhD at the University of Cambridge. PhDs always involve extended periods of independent study, and although this is also true for Dave, since starting his PhD around six months ago he has also had the opportunity to attend fortnightly seminar discussion alongside other theology PhD students at the university. Returning to study after a long break often means a period of adjustment. Dave is no stranger to academic study – as well as completing an MA in Theology at Trinity College Bristol, he is also the author of many articles, chapters and books, mostly on theology and the environment. “The studying is going well – writing books and reading widely over the years has kept me academically alert. But there has been a challenge in writing in a more academic way, ensuring that everything is referenced and all the arguments properly defended. There have been plenty of deadlines to meet, with a 4-5000 word essay to write every two or three weeks. “Once I have written an essay, my supervisor Professor Ford provides expert feedback. I know I am incredibly fortunate to have such a fantastic supervisor. These preliminary essays are going to provide the basis of my PhD thesis later on. As well as essay technique, I have also needed to hone my note-taking and referencing skills. Learning how to organise, file and retrieve all the information are also vital skills for PhD students. Anyone planning a PhD and looking for sponsorship from their employer will need to convince them of the benefits. For Dave, the arrangement is mutually beneficial. “Working whilst studying means that the two feed into each other. The studying helps with the job and the contacts I have from my work at A Rocha help with the PhD. I am not sure exactly where my PhD will lead – although I am sure it will help my work even more. Having a PhD really helps your credibility if you are working internationally. Perhaps I will have the opportunity to become more involved with academic work, lecturing in a university or college. Rev Dave Bookless is the author of God Doesn’t do Waste : Redeeming the Whole of Life (Nottingham:IVP 2010) and Planetwise : Care to Care for God’s World (Nottingham : IVP 2008) and many other books and book chapters.